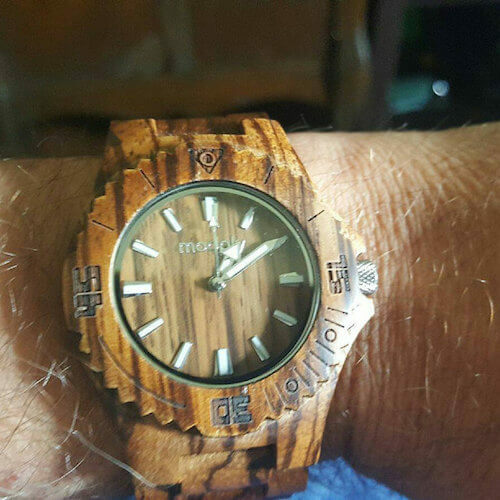 Photos don't do this Watch justice. The color in person is absolutely gorgeous. It's also lightweight, which surprised my dad. And the customer service was top notch. I had a million & one questions which were all answered in a timely manner. Would definitely recommend! He loves it!! Thank you! 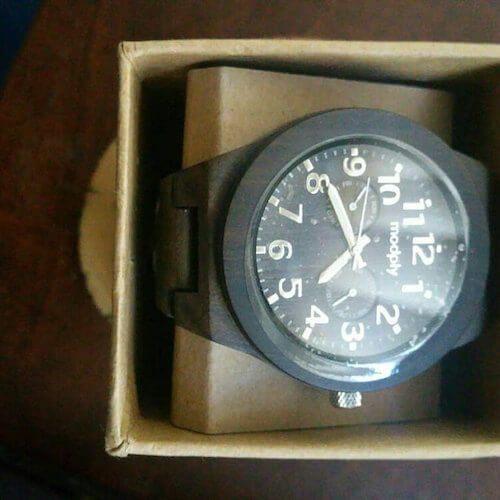 It is the most light-weight watch I have ever felt. 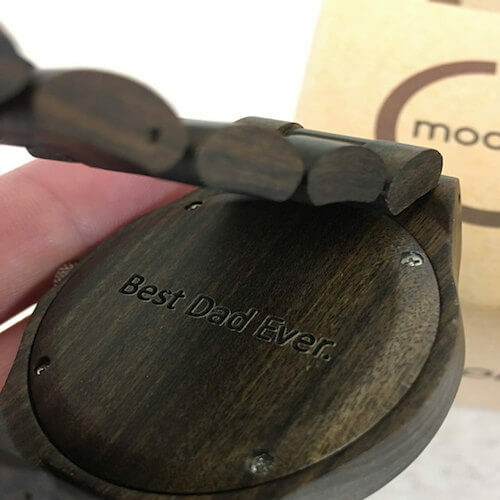 It's great quality, the engraving on the back looked fantastic, and the shipping was speedy. I was very impressed! 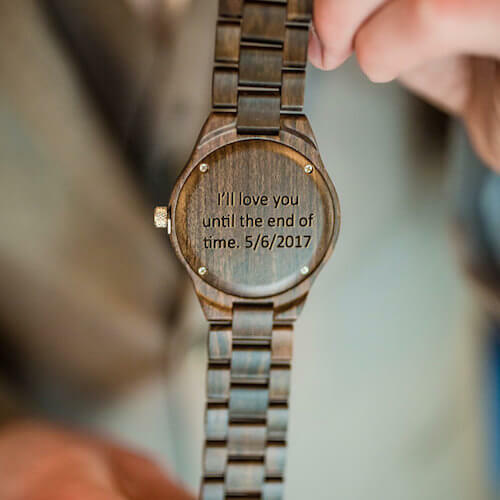 This is a beautiful watch. So light and well made, I love it. My Dad will love it. Thanks Ryan. 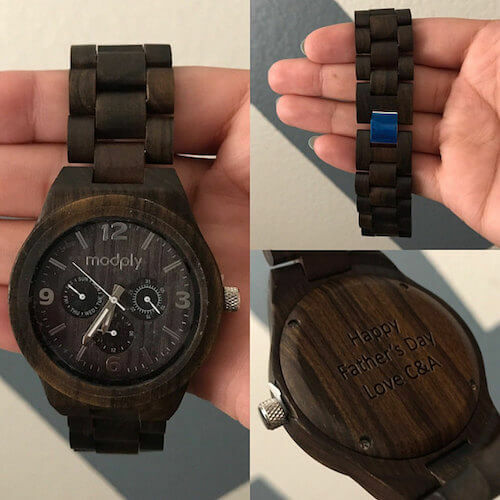 The wooden watch I ordered was perfect! 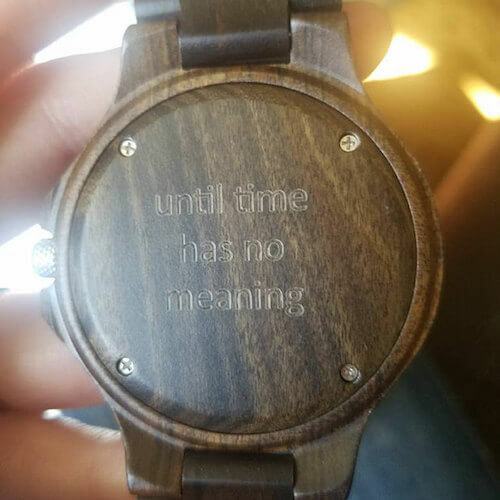 It shipped super fast and the engraving on the back looks great. We had trouble removing some of the links with the provided tool and the shop quickly helped fix our problem. I'd definitely order again!